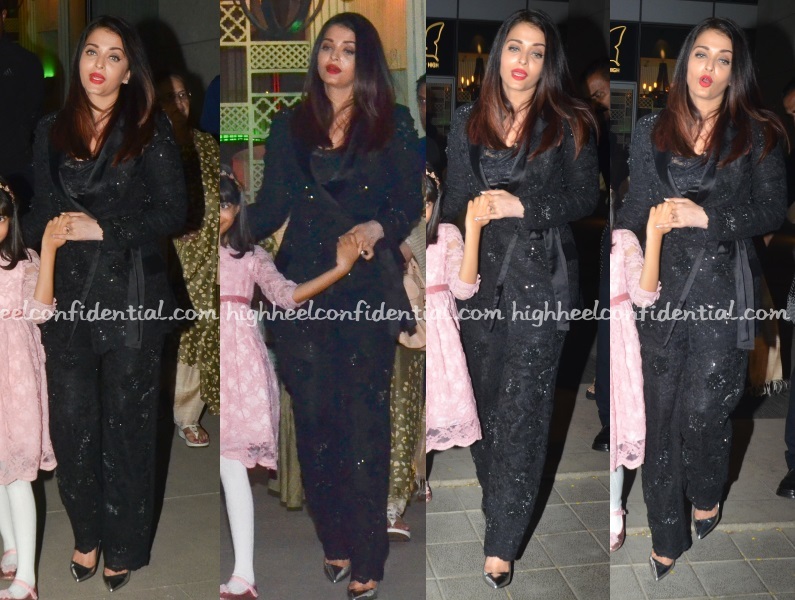 The Bachchan family caught dinner together for Abhishek’s birthday where Aishwarya was seen wearing a beaded pantsuit with silver pumps and her signature red lip. Wish we had better pictures because she looked quite nice. Red lip included.